The dynamic lifestyles of the everchanging human race have made them vulnerable to an array of gastrointestinal conditions that have taken a rising toll due to the complex and hazardous dietary habits and increased levels of toxins and chemical in our daily lifestyles. The concept of a balanced diet which includes the right amount of nutrients needed for the healthy functioning of the body has become just a concept and has led to a depleting scenario. 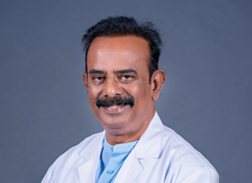 With unmatched technological support and superior surgical expertise, the department of surgical gastroenterology at STAR has provided comprehensive care and exceptional solutions in the scenarios of gastrointestinal and hepatobiliary complications that induce chronic pain and lifestyle issues in the lives of our patients. The department has been accredited with the capacity to carry out some of the most complex surgical procedures including pancreatic surgery and surgical oncology for cancers of the stomach, colon, liver, etc. Backed with the expertise of the department of medical gastroenterology, we ensure to bring you back into a painless living. 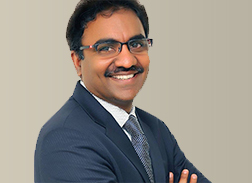 Our comprehensive approach to diagnosis, treatment and prevention of the digestive disorders has helped us improve our expertise in the various fields of gastroenterology that include, Open surgical and keyhole procedures, Suture less surgeries with Endo GIA Staples and bloodless surgeries with ultrasonic scalpel, Expertise in hepatobiliary, pancreatic, gastro oesophageal, colorectal and surgeries for the small bowel, portal hypertension, spleen and major GI trauma.